I’m 46 years old and should know better than to be growing out a mid-70’s homage to Bowie haircut. I may be a million miles away from looking like the thin white duke but sometimes I get so consumed by a piece of music, a book or film that I end up manifesting my obsessions in some way. 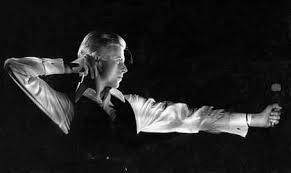 With my genetic inheritance and love of crisps, the thin white duke was always going to be a bit of a challenge. 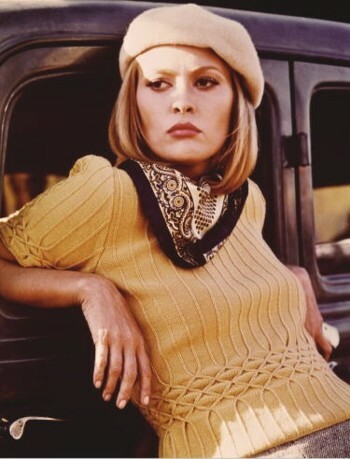 When I saw Faye Dunaway in the film ‘Bonnie and Clyde‘, I had to wear a beret and jaunty neckerchief every day for months, and the film ‘Amelie’ had me skimming stones and even meeting up with friends in the Café des Deux Moulins in Paris. I’ve walked in the footsteps of Daniel Sempere in Barcelona, I’ve made madeleines to honour Proust, I’ve played pooh-sticks in the hundred acre wood and I knit my favourite authors. Don’t even get me started on the mini ‘Smiths’ pilgrimage I made around Manchester. I recently started reading ‘Wise Children’ by Angela Carter, and within the first few pages I was so enthralled by the writing and the fabulous characters of aging twins Dora and Nora in their glamorous silk kimonos, turbans, and Guerlain perfume, I knew I needed to act. 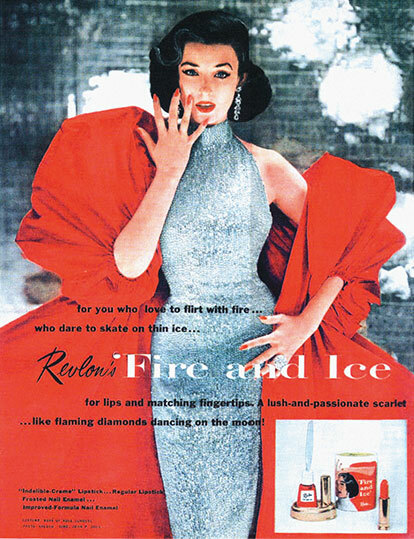 As Revlon’s ‘Fire and Ice’ is their lipstick of choice, and a shade I own but rarely dare to wear, my choice of homage was easy. I’ve been wearing it every day since. Crazy as it sounds, I feel this small insignificant act of frippery connects me that little bit more to the characters in the novel, and to an era that is now passed. I don’t know how long it’ll last, but for now, every time I put on my lipstick, I’m in showbiz! ← Book 5 – In which Odysseus thinks he knows best, but he’s actually an idiot. Hello! There you are! Your lipstick looks great! I do things like this, too. It started when I first like A-Ha at ten years old and bought a Norwegian phrase book, and has continued in many embarrassing ways since involving as you say, clothes, trips, hair, and I’ve been to a lot of graves. The only time it has worked well was when obsessed with Slash, as my hair is pretty close to his already. I’m glad it’s not just me. I love that your obsession with A-Ha didn’t stop at a poster-clad wall like most tweenies, but extended to you learning Norwegian so that in the event that they stepped out of the pages of your magazine, you could ask them about their favourite colour/cheese/film in their native tongue! 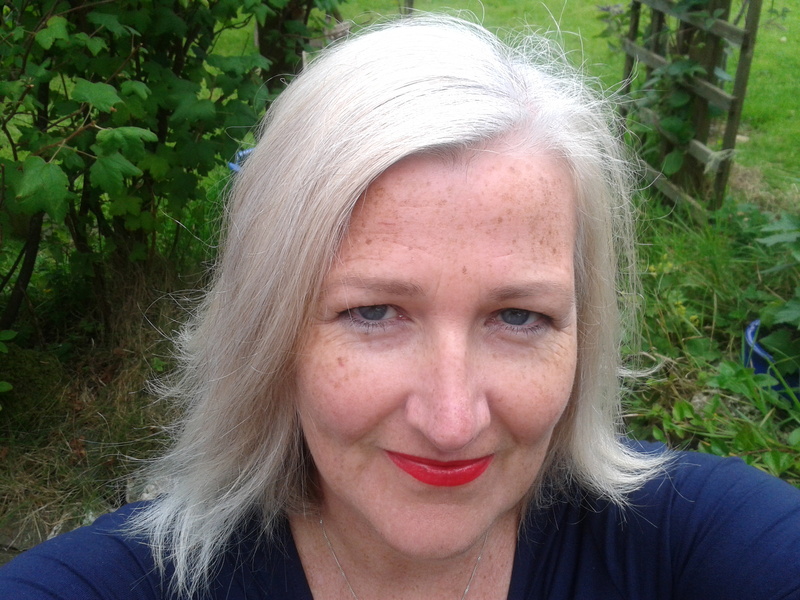 It’s more a case of having ‘been there and done that!’ Thus far, I’ve had a harsh bob in brown, blonde, black, orange, red and purple, and always home-dyed for that blotchy amateur look. Red lipstick though – I haven’t worn that in a long while! Fair enough; the hair cut scene is probably my favourite bit in the book! I loved it too. That magic bottle with the power to transform, but with double the impact! You are true to your passions, acting in whatever way your love takes you. Outside of collecting memorabilia the way I acknowledge art, bravely presented, is to write about it. The feeling is too much inside that I have to get it out. Your homages are so precise and random. My collecting is also random. The cultural memorabilia dear to me had to pass the test of double digit cuts in pack rattage. Every time the list whittles down, but I won’t ever part with my signed theatrical Playbills, posters, CDs and books. Each one has a story, even if that story is only interesting to me! Lipstick makes for a subtle connection that needs explaining. A small leaflet / handout?! Aye, I’m thinking of designing a leaflet to explain that (for when I have one) a beard isn’t necessarily anything to do with hipsterdom. Social signs are a minefield. I believe that Princess Di was the patron of a charity that helped with this. My memory may be mixed up with metaphor though. haha, very good! Yes, I’d hate for people to think I’d grown a beard to be a hipster, although I’d hate for people to think I’d grown a beard at all.